Even though our sit standing desks are easy to assemble, we can make it totally effortless for you by coming to your office, studio or home to set-up your new desk. 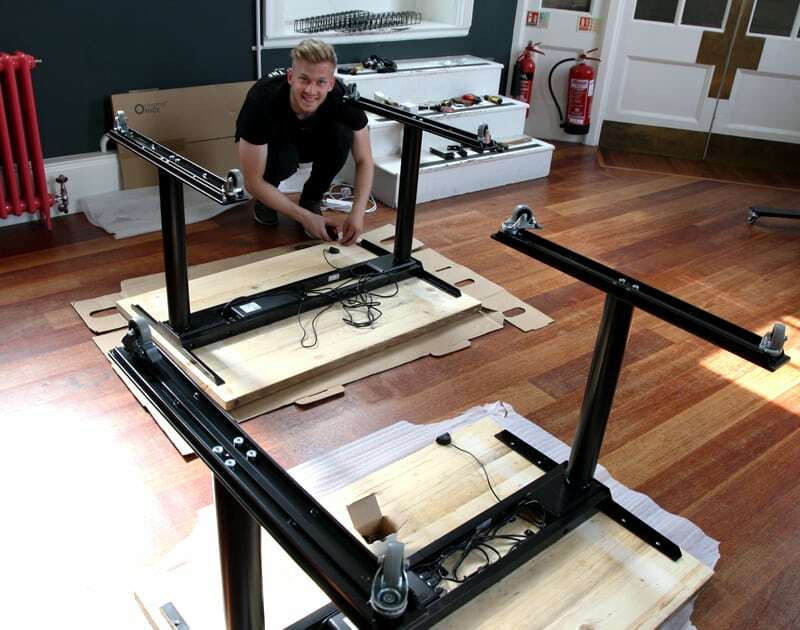 Our full delivery and set-up service is available free of charge on all desk orders for delivery within 30 miles of Norwich and includes removing all the packaging and leaving you with a fully assembled height adjustable workspace. Don’t worry if you’re further afield and would like the set-up service, get in touch and we’ll get back to you with a price. We work with international couriers and freight forwarders to fulfill orders abroad. If you would like a quote for international delivery please complete the form below with as much information as possible so that we can provide an accurate quote. Thanks for getting in touch, we’ll get straight back to you.